In a personal handover ceremony Lamborghini CEO Stefano Domenicali received the 2018 Middle East Car of the Year trophy for the Best SuperCar 2018 for the Lamborghini Huracan Performante. 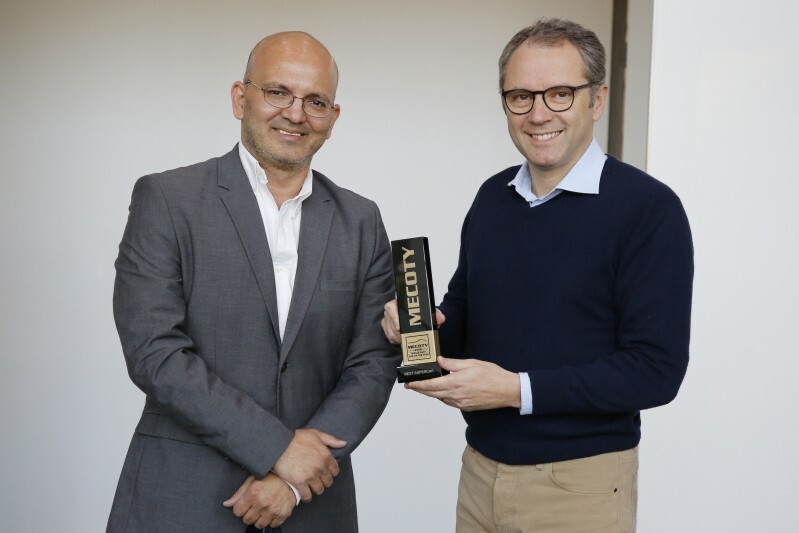 Mr. Domenicali received the trophy and certificate for Best SuperCar 2018 from MECOTY jury-member and Auto Arabia Editor-in-Chief Mohamed Sheta on behalf of the MECOTY jury committee and organization. The Middle East Car of the Year award MECOTY is currently the most diverse automotive award in the Middle East, with over 15 jury members representing most of the important markets in the Middle East and North Africa region. The juror voting deadline for the 2019 MECOTY Award is in February while the award ceremony for the 2019 MECOTY Award will take place around end of March/ beginning of April 2019 in Abu Dhabi.